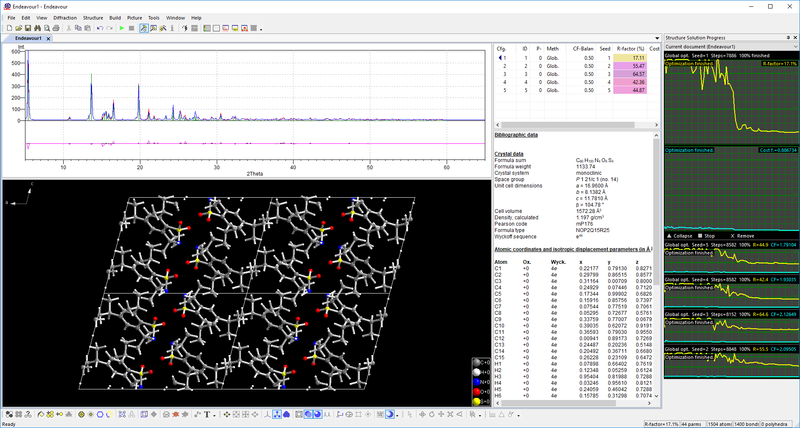 Endeavour is a powerful software for crystal structure solution, both from powder as well as single crystal diffraction data. Based on more than ten years of experience, the software is capable of solving many small to medium sized structures more or less on its own. The innovative concept combined with the elaborate user interface makes the solution of crystal structures an almost routine process, especially for inorganic but also for many organic compounds. The latest version 1.8 with a re-designed user interface brings several improvements and bug fixes. You can find details here.